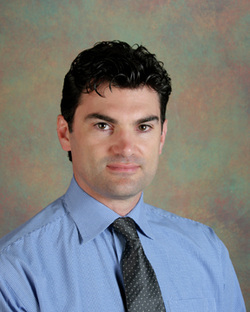 I am an experienced family medicine practitioner serving Petaluma and surrounding areas since 2006. I welcome patients of all ages. My personalized approach to practicing medicine and dedication to quality of care extends into a long-lasting partnership with my patients and their families. Above all, I make every effort to keep my patients healthy by focusing on their total wellness. I offer a full spectrum of medical services. In addition to primary care, I offer in-office ambulatory procedures; women’s health exams and services; and joint injections. I have a passion for state-of-the-art medical and communication technologies and use them to make every patient’s visit comfortable. My patient’s health is of the utmost importance to me. Both physical and mental health are equally important to the overall vitality of each person. I am trained to consider these factors in attempting to diagnose, treat and prevent illnesses. Although skilled in western medicine, I welcome patients who prefer to receive care via holistic and eastern methods. and practitioner in a therapeutic partnership. My office is located minutes from the Petaluma Valley Hospital. I am fluent in English, Bulgarian, and Russian.